Sylvester Stallone is one of the most famous American Movie stars.. With characters like Rocky and Rambo he is a household name in the hearts of millions. 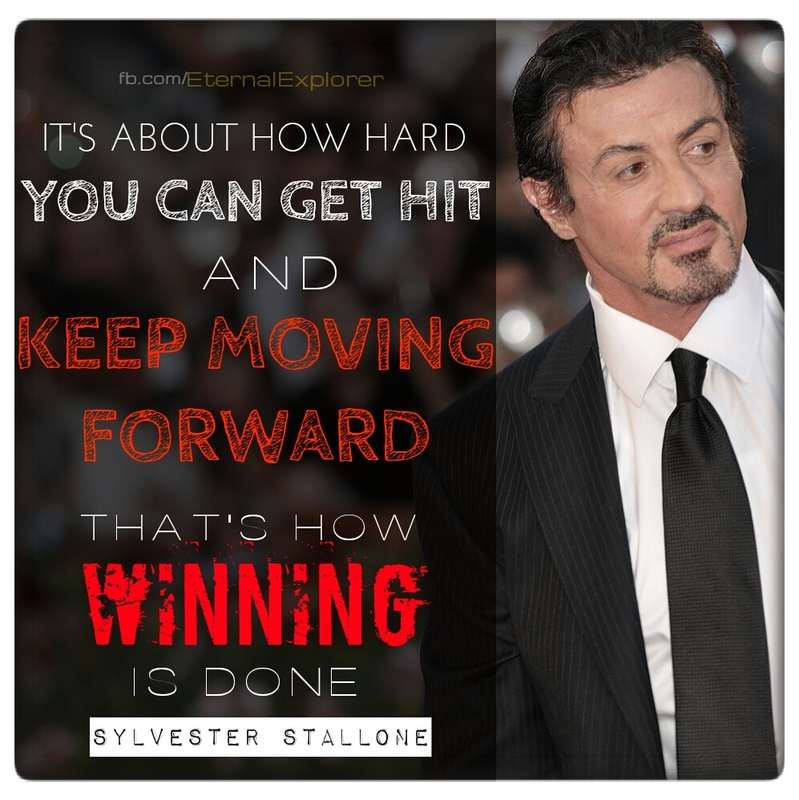 During birth, a wrong gynecological procedure caused Stallone to have one sided paralysis. At school, his middle class being and his facial paralysis became a thing for others to make fun of. He started body-building because he wanted to frighten those who bullied him. Slowly he started thinking of a career in movies. Soon a time came when he went broke. He was heavily under debt. Restless, anxious, stressed and still loaded with hope that he WILL make it big. Things got so bad that he had to sell his wife’s jewelry and ended up homeless. Sleeping at the New York Bus station for 3 days. Despite the poverty, pains, pregnant wife and lost dog… His dream was to STAR in the movie as the MAIN LEAD. In an era when heroes were super handsome men and spoke fluently, a body builder with a facial paralysis that made him stammer while speaking, made Stallone the wrong choice for any role. At that time everyone was pushing him to accept.. It would be MAD not to do so.. He was making a fortune. Someone in the studio really loved his script, and as fortune favors the brave.. They finally accepted to give $35,000 for the script and have him as the lead star. It won the Oscar for Best Picture, Best Direction and Best Film Editing. Stallone was a “bankable” hero for the next 20yrs, till the late 90s… with his movies making billions of dollars. He stood outside the liquor store, where he sold his dog, for 3 days. Identified the man who had bought it, and finally got him back for $15,000.